Strategy games can be frustrating especially if you run out of strategy. With all the planning, analysis, and other skill-based tasks, it would be great to take the easy way out just for fun. 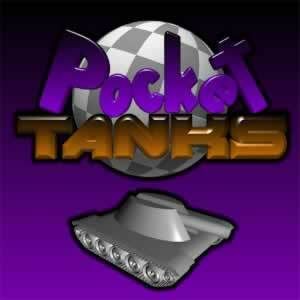 If you are reading up to this point, do take note that some of the Pocket Tanks cheats below may either ruin or boost some of the challenges you may experience while playing this awesome game. With that out of the way, check out some of the Pocket Tanks cheats and their effects in the compilation below. The first Pocket Tanks cheat works for weapons like Popcorn, Napalm, Hail Storm, and others whose attributes include a higher explosion time. Considered as a glitch rather than an actual cheat, this can be executed by moving your tank as soon as you fire your weapon. It will allow you to fire up to four times. Another technique that you can use to lower the hit points of the CPU tank can be done in three simple steps. Step 1 involves making the tanks move right after you fire, Step 2 involves lowering the power to 1, followed by Step 3 which is to fire until all the dirt fall towards itself. For the last cheat, we suggest applying it only when all hope is lost and if the only way to achieve victory is through building a defense. Contrary to the saying “digging your own grave,” this method is called “digging your way towards victory” which is doing exactly what the name suggests. Burrowing or hiding is one of the most effective ways to achieve victory in dire situations. Otherwise, you can work on improving your Pocket Tanks strategy and other tips and tricks in the Pocket Tanks FAQ page.